A well written thoughtful and intriguing account of James Comey’s life and career (so far). You might expect this book to focus on his time as FBI director under Trump and the rather shameful & ignominious way he was treated and subsequently fired from that position – but it’s NOT. This book contains well written vignettes from throughout his life and impressive career both in and out of public service. From his time working as a shelf-stacker in a grocery store, to being held at gunpoint as a teenager in his home through to fascinating accounts of his time in the Justice Department and the cut & thrust of bumping up against partisan politics in the Bush administration. We see a man of integrity standing his ground against bullying immoral politics & policies from the illegal activities of the NSA’s surveillance and the CIA’s torture programme. It’s clear that he’s the antithesis of Trump. Words that leap to mind from this book : Moral; integrity; thoughtful; intelligent; committed; honest. 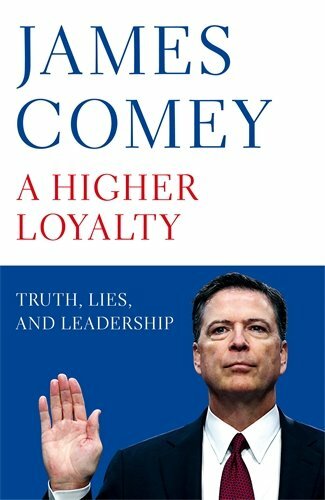 In summary: A thoughtful, honest & intriguing analysis of the times we live in seen through James Comey’s life and career .